La Tertulia Coffeeshop, located in the heart of Amsterdam for over 27 years. Welcome to La Tertulia coffeeshop in Amsterdam. La Tertulia has been at 312 Prinsengracht in the Amsterdam Jordaan since 1983! This cozy coffeeshop is owned and operated by a mother and daughter and has been a family business from the beginning. La Tertulia was one of the first coffeeshops in Amsterdam, helping to shape coffeeshop culture. La Tertulia continues to provide great ambiance as one of the most relaxed coffeeshops in Amsterdam. 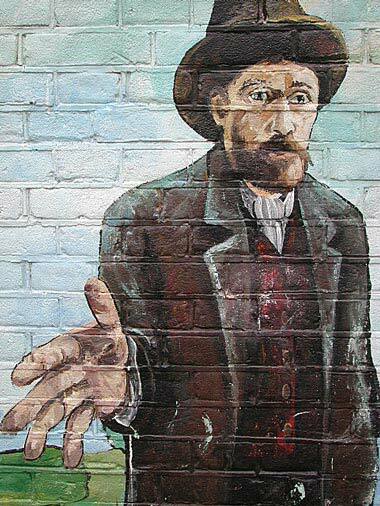 You can find us on the Beautiful Prinsengracht canal with our Canalside Terrace (open in summertime) next to the well known wall mural of Vincent van Gogh. Enjoy the Sights and Sounds of Amsterdam! 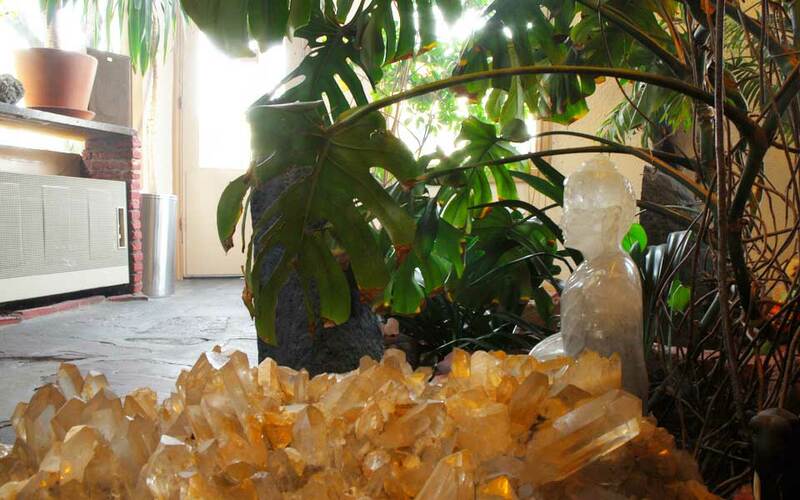 You can also come inside and sit by our Crystal Garden or upstairs with a nice view of the canal. You will find yourself surrounded by our collection of Amethyst Cathedrals, large Quartz Clusters, Fossils and meteorites. The music matches the good vibe of our , relaxed and fresh. Try a delicious Espresso, Latte or Coffee. We also have fresh squeezed Orange Juice & ice cream milkshakes. Or treat yourself to a 'Toastie' or one of 15 other tasty Sandwiches. Our coffeeshop has a large assortment of bongs and rolling papers to use or buy; not just your standard coffeeshop fare. We now offer LED Bud Scopes for sale in our shop! We have a vaporizer / waterpipe called de Verdamper for our customers to use. We provide a friendly atmosphere, with plenty of ventilation for fresh air. Smokers and non-smokers, You will feel right at home here. Wednesday from 12 - 3 come in and ask us about crystals and meteorites. We have been Favorably reviewed by ®Get Lost, ®Lonely Planet , & ®Let's Go's guides to Amsterdam and our shop is legendary among locals. We have just received a batch of our latest custom designed t-shirts. In shop price is €25. The shirts are high quality, 100% cotton printed with a heat transfer technique that produces incredible detail. Come and get one now! You will feel right at Home in La Tertulia coffeeshop. Don't forget to try our Delicious Coffee, Fresh Orange Juice and Milkshakes. Try a 'Toastie' or one of our other Tasty Sandwiches. You can also Come in, Sit Back, Relax, and Smoke a Joint. 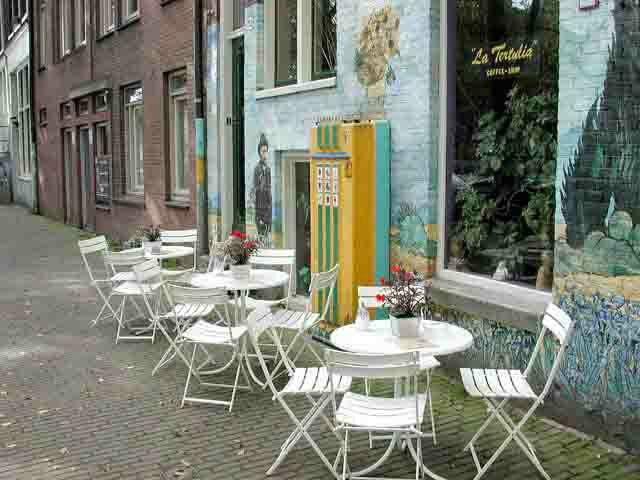 Just don't forget to Visit La Tertulia When You are in Amsterdam, you won't be disappointed! Open Tuesday thru Saturday 11 a.m. - 7 p.m. This web site and our coffeeshop are not intended for anyone under the age of 18 years old! Please visit our shop only if you are 18 years of age or older.